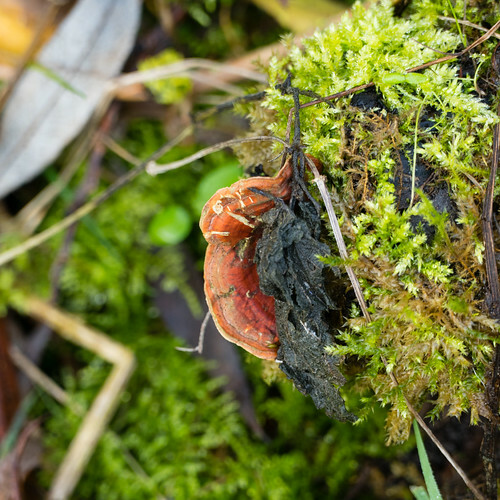 Red bracket fungus – could it be cinnabar polypore? Red-coloured bracket fungus – could it be a cinnabar polypore (Pycnoporus cinnabarinus) growing by a footpath along the Avon at Stratford? Such is the only one with similar colour and appearance in my collection of field guides. But the cinnabar polypore was declared extinct in Britain back in 2006.